With over 200 million .com domains already claimed, other top-level domains have become more popular in recent years. 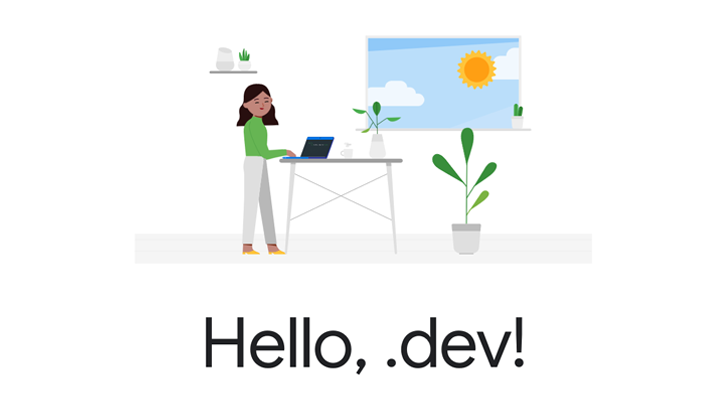 Many developers and software companies (including ourselves) prefer to use .io domains as a nod to "I/O" being the abbreviation for "input/output," but now Google has enabled a new ending specifically for people like us — .dev. Google's .dev TLD is appealing not just because it has plenty of untaken phrases (at least for now), but also because it's easy to remember. Interestingly, .dev sites are required to use HTTPS, which Google says is "helping move the web to an HTTPS-everywhere future in a big way." From tools to platforms, languages to blogs, .dev is a home for all the interesting things that you build. .dev lets your clients know what you do before they even open your site. We haven't abandoned our scriptwerx.io but we have now switched from .io to .dev as our preferred TLD as it's nice to have a domain that fits our organisation perfectly. We host on Google Cloud Platform and have been enforcing HTTPS on our sites for some time now so the switch was pretty straightforward. Head over to Google to see if yours is available.